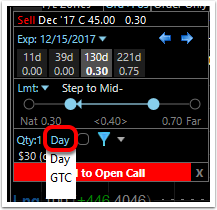 A covered call is a stock/option combination created when a Call(s) is sold equivalent to the amount of stock owned (or purchased). 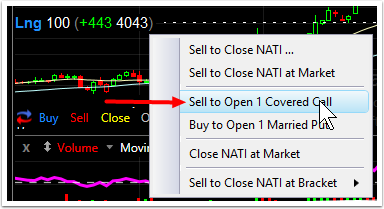 The stock owned covers the option(s) sold. 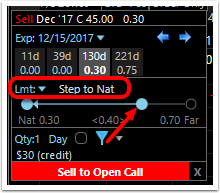 Here are the steps to buy a covered call on an existing stock position. 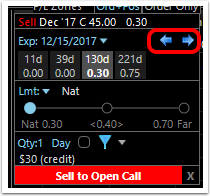 You can also select any point within the spread to have the order stop modifying. 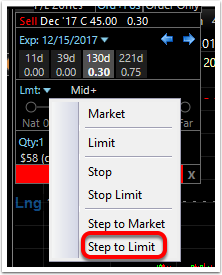 Over the predetermined time period the limit price will be automatically modified down from the initial entry price toward the Natural (or selected) price. 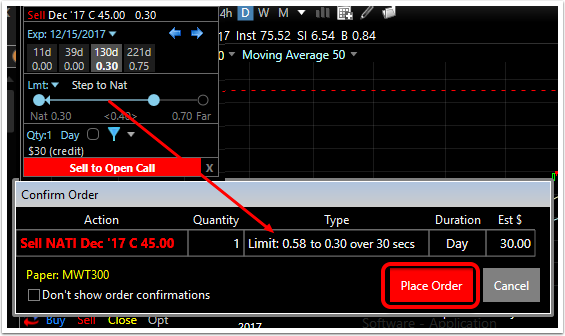 The step to limit order will attempt to secure a preferable fill price in this process. 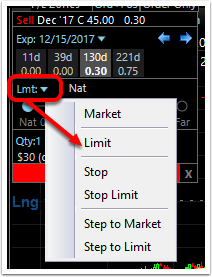 Modification stops if no preferable fill is received and the limit price reaches the Natural. 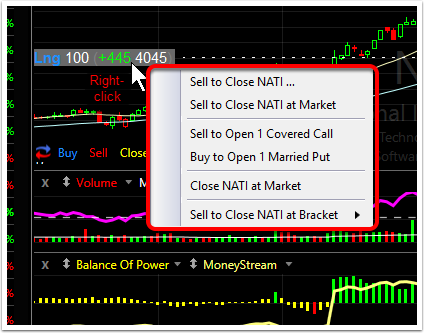 The current stock position and the short call will now appear on the chart. 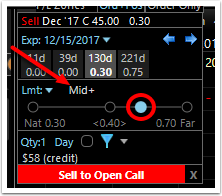 The P&L zones show the option generates income (the premium). 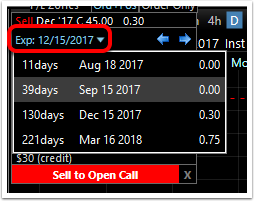 But through the expiration date, the upside gains are limited to the strike price minus the premium plus any gain in the equity price. The position is subject to substantial loss (e.g. 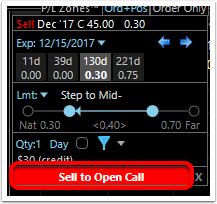 if the stock goes to zero). However the loss is offset somewhat by the premium received for the short call. 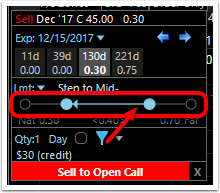 Should the call expire without being exercised, the stock position and the option premium are both retained.